Stays in the lab all day inventing new creation to help on the journey. When he leaves the lab he likes to climb trees with his tongue so he can get food. He also gets along with all type of pokemon. Was a failed science experiment and wanted to fix the failure so he decided to become an inventor in the world of pokemon. Fast, weak attacks but average in other stats. He is very motivated sometimes to a fault/not knowing when to give up. However he's very adventurous and easily distracted. He left home when it was destroyed by a forest fire. He wants to meet celebi to learn what caused the fire and possibly stop it. He is terrified of fire. Was born in a village in a forest he left when it was destroyed by a forest fire with an unknown cause. 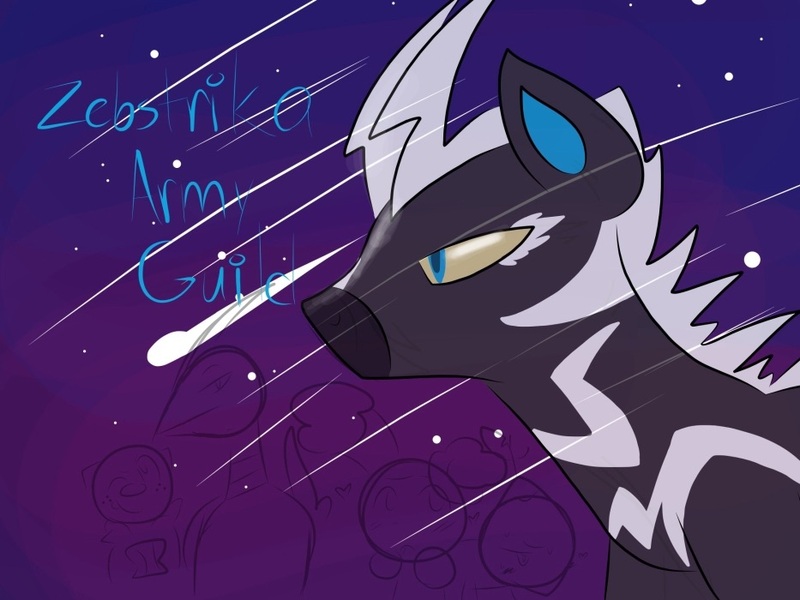 A few months later he discovered the zebstrika army guild and figured they could help him gain the skills he needed. And he thought it would be fun too.